It is with great sadness that the Biophysical Society in Canada learned that our colleague and friend Michèle Auger passed away on October 29th, 2018, at the age of 55. Michèle Auger was born in Grand-Mère, Quebec and raised in Trois-Rivières. As a bright and dynamic teenager, Michèle enrolled first in biophysics at the Université du Québec à Trois-Rivières, only to later transfer to chemistry. After obtaining her B. Sc. in 1985, Michèle joined the group of Dr. Ian C.P. Smith at the University of Ottawa/National Research Council of Canada to pursue her Ph. D. studies in biophysics. It was in Dr. Smith’s lab that she developed her great passion for the use of solid state nuclear magnetic resonance (NMR) spectroscopy for the study of biological membranes. After graduating from the University of Ottawa in 1990, Michèle refined her skills in solid state NMR as a postdoctoral fellow in the group of Dr. Robert G. Griffin at the Massachusetts Institute of Technology. Michèle Auger joined the Department of Chemistry at Laval in July 1991 as an Assistant Professor and recipient of an NSERC Women’s Faculty Award. She was promoted to Associated Professor in 1996, then Full Professor in 2000. Right from the start, Michèle Auger established a research program at the forefront of biophysics, exploiting solid-state NMR and other state-of-the-art techniques to study membrane interactions with proteins, peptides and drugs, as well as to study biopolymers such as spider silk. Her research projects were supported by substantial and continuous funding from several agencies. Her research achievements have received worldwide recognition, appearing in over 125 publications in peer-reviewed journals and presented on more than 500 occasions at various meetings around the world. 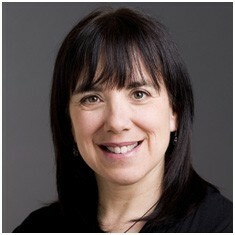 For the quality and innovative character of her work, Michèle received several distinctions, including the Barringer Award from the Spectroscopy Society of Canada in 2002, the Clara-Benson Award from the Canadian Society for Chemistry in 2007, and was nominated Fellow of the Chemical Institute of Canada in 2010. As an educator, Michèle Auger was outstanding. She developed and taught numerous courses and, as an exceptional professor, received only the highest ratings from students. Her excellence in teaching was recognised on numerous occasions with “Professeure Étoile” Teaching Awards from the Faculty of Sciences and Engineering at Laval. Michèle Auger was also a fantastic mentor. During her career, she trained over one hundred undergraduates, graduate students and postdoctoral scholars. Gifted with superb interpersonal skills, she was able to adapt to the individual needs of each of the trainees she supervised to ensure their success. She always cared greatly for her students. Michèle was also very dedicated to making Université Laval a better place to study. She served as program director in Chemistry, either at the undergraduate and graduate level, for over 12 years. Her impact at the undergraduate level was particularly significant, with the elaboration of four innovative B.Sc. specialisations, four international exchange programs and the creation of a year-long industrial internship. In 2012, her exceptional contributions as Program director were recognised by Universitè Laval with the “Prix d’excellence en enseignement – catérogie Direction de programme”. Michèle Auger was particularly proud of the Communication for Chemists course that she created from scratch. Anyone who knew Michèle knew how close she was to students and how much she cared about them. She was part of the University Suicide Prevention Committee and designated “Sentinelle” for the Department of Chemistry. Her door was always open to students. In 2006, she co-founded a unique initiative: “Les 24 heures de la chimie” designed to promote chemistry and strengthen the sense of community in the Department of Chemistry. Michèle Auger’s involvement in the larger scientific community is also remarkable. Over the years, she served on numerous grant selection committees, notably at the National Science and Engineering Research Council of Canada. She served for many years in the Chemistry Evaluation group, as member and as chair. Michèle Auger also dedicated countless hours of service to the Biophysical Society of Canada (BSC). Michèle sat on the executive of the BSC starting in 1994. She was treasurer from 1997 until 2014, and served as secretary from 2010 on. In the latter role, she was responsible for creating the BSC website, as well as many upgrades. To recognize her outstanding contributions, the BSC created the Michèle Auger Award for Exceptional Service in 2016, with Michèle being the inaugural winner of this award. Michèle was integral to the tremendous growth of the BSC. Michèle served internationally on the Council of the International Union of Pure and Applied Biophysics from 2011 – 2017. She also organized various conferences and symposia, including the Meeting of the International Society for Magnetic Resonance (ISMAR) in Quebec City in 2017. Finally, Michèle Auger was engaged in promoting chemistry and sciences to the general public. Her passion for outreach started in 2007 with the organisation of an exhibit on the Chemistry of odours at the Science Pavillon of ExpoQuebec. She established an interactive activity on perfume fabrication and a very popular lecture entitled “The Chemistry of Odours: From Skunks to Chanel”, which she continued to deliver until very recently. Without doubt, her most notable contribution to scientific outreach started in 2011 for the International Year of Chemistry, when she co-founded “Attraction Chimique”, a series of interactive activities to promote chemistry to school children and the general public. To date, “Attraction Chimique” has initiated chemistry to over 400 000 persons, mostly teenagers. She was particularly proud of her perfume making activity, extremely popular among kids, especially girls. Brilliant, creative, dedicated to the scientific and academic communities, Michèle Auger embodied the perfect example of an accomplished university professor by all standards: professional, ethical and in leadership. Michèle Auger was a woman of values and great empathy, involved, passionate for books, sports, music and science. But most of all, she was an inspiring person. Everyone that crossed paths with Michèle will remember her as a model to follow, an exceptional woman that passed away too soon. She is remembered as a dedicated, generous, and inspirational woman who touched the lives of many through her friendship, teaching and kindness. Michèle is survived by her spouse Jean Larose, her greatest pride and joy, her daughter Frédérique, her mother, her sister and other family members. She will be sorely missed by many friends, former and present members of both the Department of Chemistry, Université Laval and the Biophysical Society of Canada, as well as by the broader Canadian scientific community. The General Assembly of IUPAB held at Edinburgh, July 18th, 2018, elected new Officers and new Members of the Council.